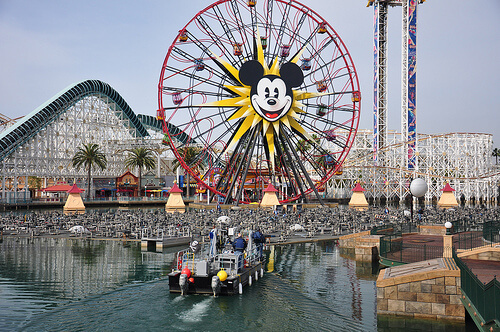 Enhancements continue at Disney’s California Adventure with the new World of Color viewing area (Paradise Park) nearly complete. 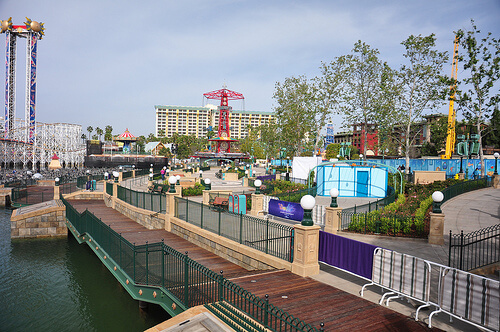 Construction walls came down around the lagoon-side area in the last few days. 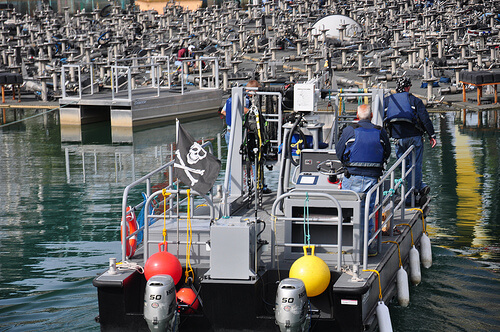 Our cameras caught these “pirates” sailing through the Paradise Pier lake aboard their “ship,” presumably not to pillage or plunder, but instead continue work on the hundreds of water jets, pipes, and lights that are all part of the coming-soon nighttime show.